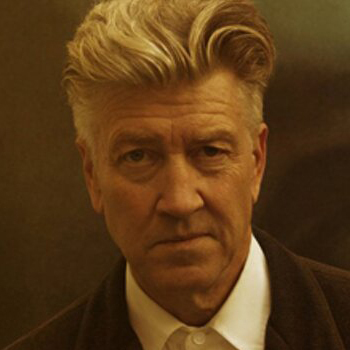 David Keith Lynch is an American film director, television director, visual artist, musician, painter, screen writer actor, and author who is known for his surrealist movies which have a unique cinematic style. He gained a huge success after he directed a biographical film about a deformed man, titled The Elephant Man (1980). Lynch moved many states with his family. He joined the Boy Scouts and positioned highest rank of Eagle Scout. He was interested in paintings and drawing so he joined School of the Museum of Fine Arts, Boston and later enrolled at the Pennsylvania Academy of Fine Arts, where he made short films. He studied film making at the AFI Conservatory. Even though his movies are not box office hits, his net worth is $60 million. May be he is getting royalties from Elephant Man and Twin Peaks. He has done many solo exhibition. The coffee aficionado has his own brand of organic coffee called “David Lynch Signature Cup.” Lynch directed a short teaser video for Michael Jackson’s short films collection, Dangerous. David had many relationships. He married Peggy Lentz and had one child later they got divorced. Again married Mary Fisk, had one child and separated. He dated Isabella Rossellini too. He had relationship with Mary Sweeney and had one son and split. Later he married actress Emily Stofle. They have together a daughter. He directed several movies. And they all were nominated on very prestigious awards such as Academy awards, Golden Globe, Emmy awards, BAFTA awards, Cannes Flim Festival where he received Golden Palm and Best Director Awards. He got Life Career Awards from Saturn Award and Golden Lion and Future Film Festival Digital Award in Venice Film Festival. Legendary and talented actor and writer from America who gained world wide recognition after portraying a phenomenal role in the hit movie series Stars Wars. Freddy Moore is an American rock musician probably best known for his 1980 song "It's Not A Rumour" which he recorded with his band The Nu-Kats. A beautiful, charming and gorgeous American actress as well as comedian who played in various television shows like The Bold and the Beautiful, The Vampire Diaries.Beside that she is also a Internet celebrity and occasional television host. He is the father of actor Robert Downey Jr., an actor and underground filmmaker known for writing and directing the films Hugo Pool, Putney Swope, and Greaser's Palace.